Earlier this year, WhatsApp announced that it had a user base of more than one billion; that is, one in seven people on earth. 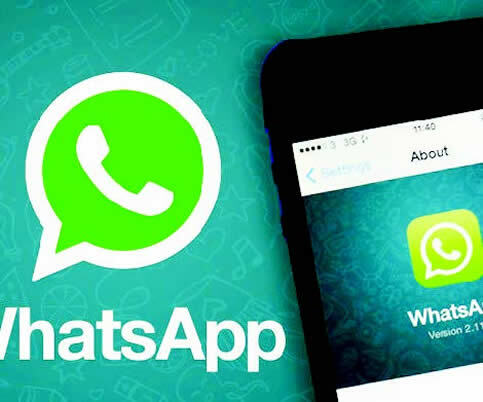 People all over the world have been using WhatsApp for numerous purposes. The popular messaging app, since then has added a host of new features with improved speed, security, reliability and simplicity. With such a huge user base, it is one of the most popular messaging apps. WhatsApp has also just added a video-calling feature to the app after a series of beta tests. A rise in the app called Snapchat and its Stories feature, from Instagram to Facebook, and now even WhatsApp has tried to clone it. In the new WhatsApp’s Beta app on iOS and Android, there is a new ‘Status’ tab where the ‘Stories’ can be put and seen before it disappears 24 hours later. The new ‘Stories’ feature is only available to a select few who operate on a jailbroken Apple device or a rooted Android smartphone. The messaging app just updated its messaging app on iOS and has made it possible for users to send and receive GIFs. Though a bit late to the game, it actually does a little more than just supporting animations. Users can send GIFs stored in the device memory as well as search Giphy’s large library and find animations to make your chats interesting. WhatsApp just confirmed that it is rolling out the video calling feature across Android, iOS and Windows. You will now be able to see ‘Video Call’ and ‘Voice Call’ choices when you tap the top dialler button. A new dialog giving the option between a standard voice call and a video call will appear. The messaging app has rolled out support for GIFs support for iOS users with the latest version of the app. The 2.16.16 update allows you to send videos (six seconds or shorter) and Live Photos and GIFs. You can search the Giphy library to search for GIFs to send to your friends on your WhatsApp. You can now tag others in the contacts within a WhatsApp group. You will be able to do the tag even if the people have muted the conversation. You can avail this feature by typing @ and click on the contact you wish to tag from the appearing list. In the new update of WhatsApp, you can doodle on as well as edit on the photos before sending them to your friends. When the conversation tab is opened, you can tap on the camera button and click on the image from the camera. You will get a few icons on the top right, and you can choose to either crop the photo, draw a doodle, enter a text or a sticker to the photo. Then the picture message is ready to be sent. There is an interesting feature in WhatsApp, although sadly it is only available to Apple devices as of now. Android owners may have to wait for a while. If you have iOS, you can go to ‘Settings’ and then select ‘Account’ and then ‘Storage Usage’. There, you will be able to see the total number of messages at the top of the page and also a list of chats, which are ranked according to the number of messages sent to the number. This helps you see who is your ‘best friend’, as in, to which contact have you spoken the maximum number of lines.